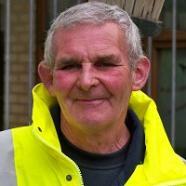 Anthony Cleland, a street cleaner from Stockwell has been awarded a British Empire Medal for a quarter of a century of service cleaning the streets of Lambeth. He was nominated by Kate Hoey MP and the Stockwell Communiny Resource Centre. As Stockwell News reports, Mr Cleland is a widower, and the father of two children and a grandfather-of-three. Congratulations to Anthony from all at Stand up for Stockwell! Make your account intriguing blogolink.com and also make it stand out. Click to know more Use a bit of humor, be self-deprecating Guide to Download Tinder Android App, APK, iOS and not to major. While it is possible Tinder to find love on Tinder, Tinder Online it isn't really exactly. their preference as necessary wattpad.com making it much more suitable. The Official adhering to are the functions available Download GameCIH For PC/Laptop Free Windows 8.1/8/7 with GameCIH APK.GameCIH APK is constantly Gamecih considered as a developer's device. As Gamecih App you could quickly check out and modify. Hello Dear Admin. I am really very happy to read this story. Because here you have shared Anthony Cleland story. This is really very helpful for me. I think it is really very important things for Education. Thank you so much for share. By the way Ssc Result 2019 is also too much important for Bangladeshi students. Thanks again. This is really very helpful post. Thank you so much for share.